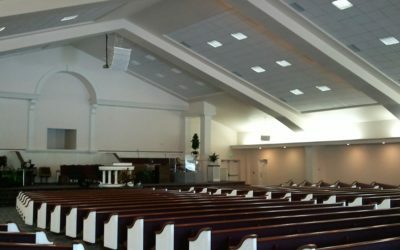 When you started thinking about building a new church, chances are you started by searching the internet for photos, floor plans, and common designs to get ideas for your project. During this process many church leaders stumble upon something they believe is just what they need, but the problem is, no two projects are the same. Fortunately we have developed a church design package that will get you and your congregation headed in the right direction towards a successful project. Before deciding what to build you have to determine what you can build according to your local zoning guidelines. This step includes answering questions like setbacks, height restrictions and occupancy guidelines. An A.I.A. certifiable cost analysis is provided as part of a General Steel church design package. This comprehensive document is a line by line description of how much your church project will cost from start to finish. Since it is A.I.A. certifiable, this cost analysis can be used as part of a loan package to secure funding for your church project. When you purchase a metal building through General Steel you are assigned a Project Coordinator at no additional charge. This experienced industry professional is your single point of contact at our corporate office who is responsible for answering any questions you have and making sure your project is finished on time and on budget. How much does a design package cost? 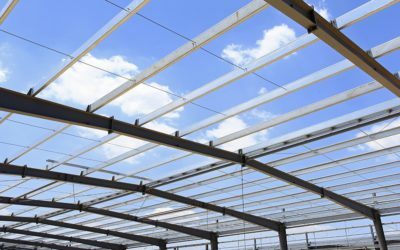 If you purchase a pre-construction services package through General Steel, the cost of the Design Package is credited back to you at the time you buy your metal building. That makes the project feasibility study outlined below essentially free! Architects charge by the hour ($80-$125 per hour), by the square foot ($1.25 to $5 per SQFT) or as a percentage of construction costs (8%-15%). Do metal building designs require an architect? The answer is no. Many General Steel building designs only require MEP (Mechanical, Electrical, Plumbing) drawings that can cost as little as $1 per square foot. The exterior finishes are an essential part of any church design. Some exterior elements are unavoidable if you need to compliment existing structures while others are purely aesthetic or functional. Any way you look at it, this is why the 3D renderings of all 4 sides of your building are an indispensable part of planning your church project. These full color replicas of your future building allow you to communicate the vision to your congregation and make important changes as Calvary did in their renderings below. Once the code and zoning review is complete, we will have a better understanding of what can be built in your location. The next step is determining how you will use your space. During this phase of pre-construction, you will work with our team of experienced space planners to design and develop an arrangement of your projected space. Our space planners are the best in the industry at making sure the utilization of the space remains efficient while also incorporating exactly what you need the new building to provide currently and in the future. No design we work on is final until you say it’s perfect. Although we will design a project that can be built in your locale, we realize that there are often other stakeholders in the project who will ask for adjustments. Stakeholders can include members of your business partners, investors or even yourself. This is what really sets our pre-construction package apart from the alternatives. Because we charge a flat rate for the service, you or others involved in the project can make up to three revisions as to the floor plan or renderings until the final product represents exactly what you want to build. We were asked us to design a building that could withstand strong winds, learn how this design endured a hurricane. Used our church pre-construction program to design and build one of the largest church camps in the United States. "Had to share my experience with the sales rep of General Steel. Andy was very knowledgeable and experienced sales rep that I was glad to have connected with. His answers to our questions were thorough, complete and satisfactory. Thanks Andy, you're the greatest!" "Ben was fantastic. He even made himself available on a Sunday afternoon so he could be on a conference call with our building committee. A few days after the meeting one of the members stated that she felt very comfortable after speaking with Ben due to his ability to communicate with us." Need help? Contact our Pre-Construction Team. Let us guide you through your project.